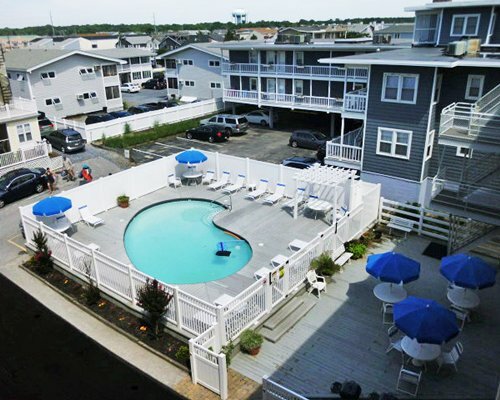 Our View is a shore thing, just steps from the beautiful Atlantic Ocean on Dewey Beach. Enjoy the resort's outdoor pool. Bicycles are available for exploring Dewey or nearby Rehobeth Beach. 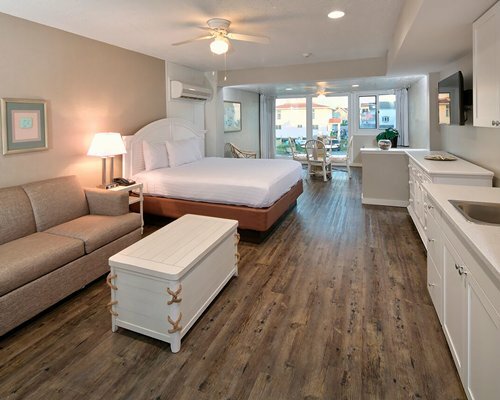 Sailing on the bay, tennis, surf fishing and charter boats, golf, fitness centers, day spas, and casinos are only a few of the area's activities. 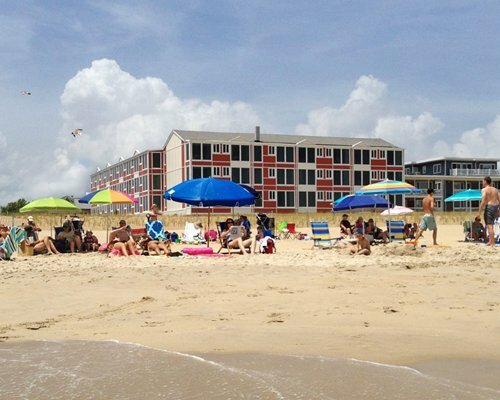 Summer or winter, the Delaware shore has it all. Come enjoy the beautiful state of Delaware. Resort offers continental breakfast. 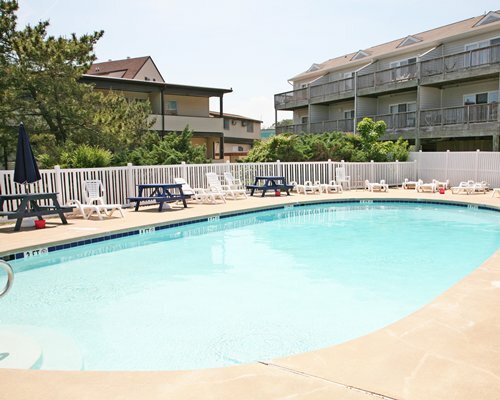 The nearest commercial airport is in Salisbury, MD about 60 miles from the resort. From the airport, take Highway 50 to Highway 90 east to Ocean City, MD. Continue through Ocean City on the Coastal Highway to Delaware; then, continue north into Delaware until you reach Dewey Beach. Turn right on Read Street; the resort is at the end of the street, next to the ocean. From the Baltimore/Washington airport, take Route 50 to 404 East. Continue to 16 East and to 1 South to Dewey Beach. Turn left on Read St. to the resort.